When you think of Myrtle Beach, what instantly pops into your head? It’s golf and the huge number and variety of courses offered! No where else can you find the sheer number of courses in such a small area. Over 100 courses in 60 miles – that’s more than a course a mile! Myrtle Beach golf courses are plentiful and there is tons of variety, thus ensuring a perfect course for every type of player and skill level. From novice to pro, Myrtle Beach golf courses are sure to please. 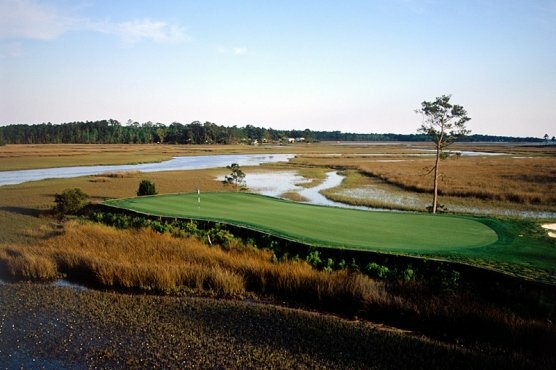 Here are a few recommended Myrtle Beach golf courses for different levels of playing ability. For the Novice: These Myrtle Beach golf courses are perfect for beginners, providing large greens and wide fairways, while remaining fun and competitive for all golfers. Here are 4 Myrtle Beach golf courses that every member of your group, regardless of skill level can play and have a great enjoyable round of golf. For the Intermediate Player: These Myrtle Beach golf courses are a little more challenging, but still rewarding for the average golfer. These four courses have some holes that require a little more skill and thought when making your shot selection, but can easily rewarding with proper ball placement. These four Myrtle Beach golf courses are also risk/reward courses where if you are willing to take the risk, the reward for a properly hit shot is great. For the Scratch Player: These Myrtle Beach golf courses are perfect for the more experienced player with a high skill level. The greens are smaller, fast, undulating and can have multiple pin placements. Narrow fairways with thick rough and multiple water hazards make putting your tee shot in the fairway a must for this Myrtle Beach golf course. Pars are the norm, with birdies difficult to obtain. Proper shot selection with good ball placement will ensure a good round at these Myrtle Beach golf courses.